Exhibition program and events of the Museum of modern art on the Mönchsberg Mountain and in the rupertinum, Salzburg in the Wiener Philharmoniker Gasse. Your premier site for fun and activities in the land of Salzburg: from sports & fun in nature to wellness, culture, & culinary. 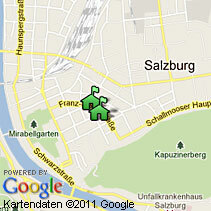 News and helpful information concerning the politics and administration of the city of Salzburg. With a detailed address collection on studying in Salzburg. From the Toy Museum to the Sattler Panorama, from the Folk Museum to the Cathedral excavations - eight different museums in the city of Salzburg are at this address. Plan your vacation in the cultural metropolis of Salzburg. Here you can find all the festival- and event- dates, shopping tips, and sightseeing possibilities. Timetable and online booking of Austrian federal railways. Concert events, the Mozart museums and the scientific examination of Wolfgang Amadeus Mozart are among the tasks of the Mozarteum Foundation. Here you can find a list of the services of Christian churches in the city of Salzburg including foreign language services. Ticket prices and extensive preview to the summer festival and the Whitsun Festival in Salzburg. St. Peter's Abbey is the oldest monastery in the German speaking world and looks back since 696 to an unbroken continuity in the heart of the old town of Salzburg. The Fortress Hohensalzburg, the Residence in Salzburg, the Hohenwerfen Adventure Castle and the Mauterndorf Castle offer you an exciting experience.